Is your new blog a ghost town? 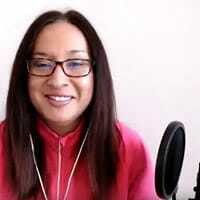 You put your passion and time into your brand new blog and fill it with amazing posts to attract traffic and readers and what ends up happening? No one is coming to your blog!!!! This hurts and can make you feel like you’re blogging in an over-saturated niche and that is why no one cares about your blog. Boosting engagement on your blog like comments on your latest blog posts, social shares on your posts and chatter all over social media CAN happen for you! Even if you’ve been blogging for less than a year. It happened to me, and you know what? These tactics are all free and super easy to do. Before we get into this post, if you are itching to start a blog, make sure to check out my step-by-step tutorial on starting a blog. There’s no way you’re going to hook a reader in if you don’t understand their struggles, problems, aspirations and more. I like to look at the WIIFM factor. When I visit a new blog, I like to read a post, look at their About page see what they are all about. I do this because I want to know if it’s worth it to follow this blogger. Will they help me with my challenges? Are their posts related to me and what I’m going through at this moment? If not, then I don’t pay attention to that blog or blogger. So, when you’re writing your posts or your pages on your website, figure out your target audience. There are three ways you can do this. Your blog may be a ghost town because you’re missing the mark on your content. Being general on your blog may not help you attract any reader. Bloggers may dismiss your blog as one that doesn’t have depth or guides to help them. But this can easily be turned around if you hone down your niche and figure out one type of reader for your blog. Let’s say you’re a mom blogger that likes to blog about health and fitness. This is a big part of your life, and you know the benefits of being healthy. And your blog shows that! Posts about the 5k running journey or the one veggie drink to ramp up your day and one about working out when you are at work. You feel these are all great for anyone that wants to be healthy. But, there lies your problem – anyone! People who engage on a blog and follow a blogger have some kind of connection. It can be with the blogger’s story, the way they write their posts or the type of content they share. If your blog is all over the place, define your target reader by niching down. So, for our example, instead of anyone that’s interested in health, dive deeper and choose moms with little ones that want to be healthy. 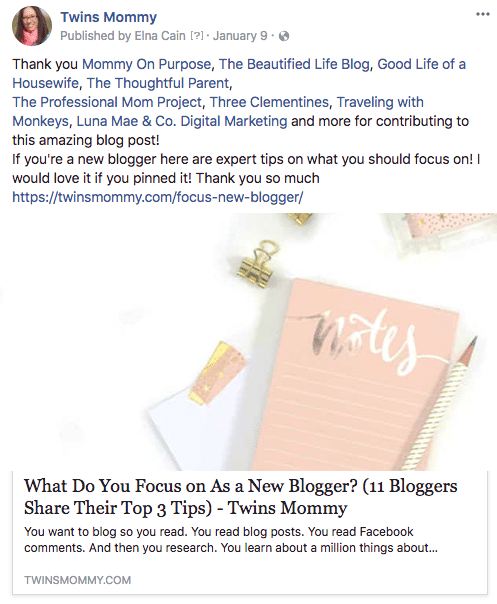 Now, your content can help moms with little ones on trying to be healthy, and when you write for that audience, they will be attracted to your blog! 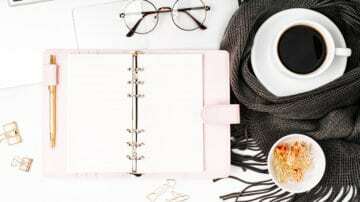 My Mom to Mompreneur Facebook group has amazing discussions about productivity tips for moms, Pinterest traffic help, email list building challenges and so much more. As a blogger in this group, you can read these discussions and learn what the real problems other mom bloggers are having (if moms are your target audience). For me, since I’m the group owner, I value these discussions as a way to help those in my group excel on their blog and grow their business. I can tailor my Facebook Lives or create content for them in my group. But, as a new blogger, listen to these discussions to learn who your target audience is and how you can better serve them. So I know I just told you to niche down a moment ago and now I’m telling you to go broad. But, hear me out! If you have a brand new blog, you have no clue who will be reading your blog. And, you may not be sure exactly what you want to blog about either. That’s okay. Instead of doing nothing and not writing your blog post, go ahead and write about multiple topics. I have another blog – Smart Mom Ideas – and right now it’s a bit all over the place. I have posts for moms with toddlers, but I also have posts for pregnant moms and even ones for brand new moms. My most popular post is about food, then it’s about living on one income, and then it’s about being a new mom. The third post is a new post on Smart Mom Ideas and I’m happy to see that it’s becoming a popular post. This tells me I can keep writing for new moms as well as cater to the food niche. So, in the beginning, blog about a variety of topics and then in a month or two check your Google Analytics to see your popular posts. From that, you can start tailoring your content to attract the right audience. For more help on attracting traffic – rather than chasing traffic – check out my blog traffic recipe. Your headline is the first thing that people will read and decide if it’s worth reading the rest of your post – yes, it’s THAT serious mamas! To boost readership and engagement, you need high-converting headlines. One way to create a high-converting headline is to use proven and popular types of headlines and adapt them to your content. For example, How-to’s and list-type posts are considered highly engaging since they solve a problem and have a lot of tips or strategies. 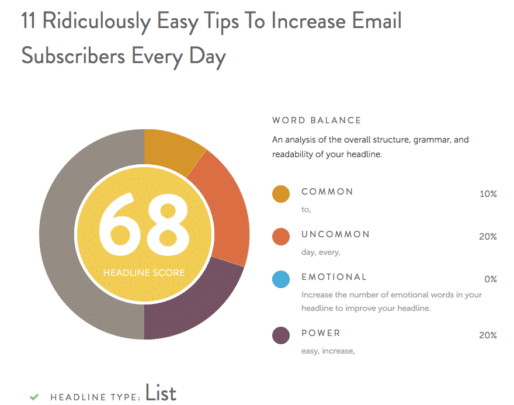 You can use a headline tool like the CoSchedule Headline Analyzer to ensure your blog post title is appealing and emotional. Here is my result for my post on increasing email subscribers. Note: I’ve been using this tool for years for my client posts as a freelance writer, and recently, I’m finding the headline analyzer more stringent on their scores. What was an A+ is now a C I’m finding. In any case, it’s still a great tool to gauge your headlines and see what ways it may need tweaking. No one likes to think they are reading old or outdated content. There will be fewer shares and fewer comments usually when people read older content. You can easily revive old posts by showing the last modified post date instead of the published date. For example, my posts on Twins Mommy shows the last updated date, instead of the published date. (that post was written in December). To make a bigger impact, also change your headline to include the current year. When visitors come to your blog post they know that it’s relevant and current, making them more likely to comment on your revised post. To help you revive old posts, check out my video to show you how to show your last updated date on your posts. Share counts are a big proof for bloggers that their content is not only valuable, but other people find it valuable too. So much so, that they want to tell others about the blog post. This type of social proof can help your blog increase its engagement, and you can get that done by automating your social shares with Tailwind. You can schedule your new post to pin to your group boards on Pinterest, and by the end of the first day, you can have up to 50 or more saves for your Pinterest sharing counts. On my blog, when I have a lot of share counts, I typically also have a lot of comments, as they go hand-in-hand. Knowing where to place your social share buttons is important. For me, I like to place them on the side of my post and at the bottom of my post. This ensures that people actually read my post and – if they find it valuable – WANT to share and comment on my post. You can show your social share buttons on the top of the post (or as a floating bar), but I find those are a bit distracting at times. Want to know an easy way to drive more traffic to your blog posts? Include a “click to tweet” in your posts. In this FreelancerFAQs post, there is a phrase from the post to be tweeted. Visitors read the post, see the tweet phrase and most likely will tweet it right away. While I have this on my FreelancerFAQ blog, I don’t put this on my other blogs. But, it could help with getting more engagement if you find your core audience is on Twitter. For most mom bloggers, though, this may not be relevant to your audience. But, that doesn’t mean you can’t try it, right? To add a click to tweet to your post, you can use the Click to Tweet plugin for WordPress sites. Based on your blog and brand colors, you can customize your tweet box the way you want. Your blog posts are there to help people with their problems, motivate them to change or help them learn something new. While it’s nice that they share your posts, another way to show a thriving blog is to have comments on your posts. Entice readers with an effective call to action or CTA. This is a blurb at the end of your post telling your readers what to do. There can be more than one CTA at the end of our blog posts – an opt-in form, share buttons and comments. To help you readers get the comments running, you can ask a question to start the conversation. Or, you can invite your readers to tell their challenges or wins in the comments. I sometimes have up to four CTA’s at the end of my blog posts. To keep the comments going, it’s also good blog practice to answer each comment you receive and engage with your readers. Interactive content is the way to go in 2018 and beyond. This means having a person interact with your content. This is usually saved on social media with Facebook Live or the option of using a GIF for your comment. But, you can move that interactive content on your blog by using a quiz. You can get started for free using the Interact quiz builder if you want or use a WordPress quiz plugin like Quiz Cat. Doing a quiz is also a great way to grow your email list. Readers take your quiz and have to sign up to your list to get their results. 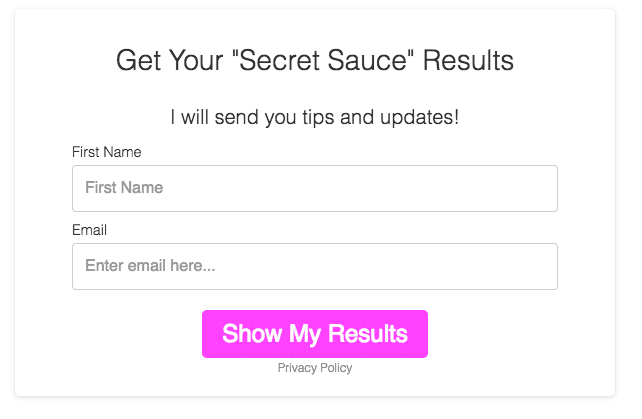 If your quiz is engaging and it ups the curiosity factor, people will sign up to your list readily! Kristie of The Official CEO Mom uses a quiz as her main lead magnet to grow her email list. After you take her quiz, you are prompted to sign up to view the results. One of the best FREE ways to get engagement on your blog posts is to feature other bloggers. You can ask them to contribute to your post, or you can feature their blog or tip they share on their blog. The standard for doing this is to contact the blogger if you want their contribution or images they took. For example, if you’re doing a round up of toddler activities and want to feature other blogger’s DIY activity images, I would message them first. You can, however, take a screenshot of their blog without asking for permission. Just make sure to link to them in your post and notify them after the post is published that you mentioned them. By getting other bloggers in your content strategy, they will help you share your post and get comments on your post right away. This goes back to the WIIFM factor. For the blogger contributing, they may ask these questions – will contributing to this blog get me more noticed? More subscribers? More traffic? If the answer is yes, the blogger will contribute to your roundup. 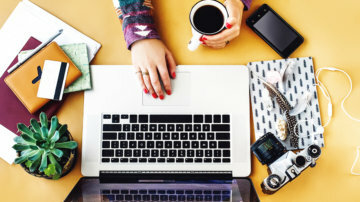 Many of these tips to boost your blog engagement goes back to connecting with your audience. You have to KNOW them to connect with them. And as a new blogger, the relationship isn’t there yet. Your first few blog posts will have NO engagement. It wasn’t until my 5th post that I got more than 100 shares organically. That post now has over 5k shares, and it’s a post that I don’t automate in Tailwind or share myself. And I feel the reason that post took off is that I was sharing a solution to a problem with my audience. Once I changed my content strategy to HELP my readers, my shares and comments boomed. To start connecting with your BRAND new audience as a BRAND new blogger you can start by replying to all your comments. Your comments will grow to be your loyal following. And it’s a great way to understand your audience on a more relatable level. Pro-tip: by engaging with your comments, you create a “longer” blog post, making it an attraction for Google ranking (since Google looks at the relevancy and keywords of each blog post) if you use keywords when you answer your comments. Three other ways to start connecting with your audience are email, comments and Facebook. Have you started an email list? It was one of the best decisions I made early on, but I do know that for brand new bloggers that are new to blogging, an email list may not be a good option RIGHT NOW. I would wait at least two to three months before you start an email list. This gives you time to understand blogging and growing your audience. When you do start your email list, it can provide a wealth of information on what your readers want from you. I created a survey early on and asked my readers their biggest challenge and what they want to see more of on Twins Mommy. This helped me create my content schedule to attract the right audience! Once you start getting comments on your blog, reply to them and read them! Readers will tell you their story and may even link to their blog. Visit their blog and see who your audience really is! Are they mostly new bloggers? New moms? Savvy business readers? Figure out your audience type from your comments. Do you have a Facebook page? Trying to grow your Facebook page and get engagement is becoming harder and harder lately. But, that shouldn’t stop you from trying to grow your Facebook page and connecting with your audience. The #1 way to do this is with Facebook Lives. You can email your subscribers and let them know you’ll do a Live. Facebook LOVES native video content. The more videos you do on your page, the better it will be seen by your followers. 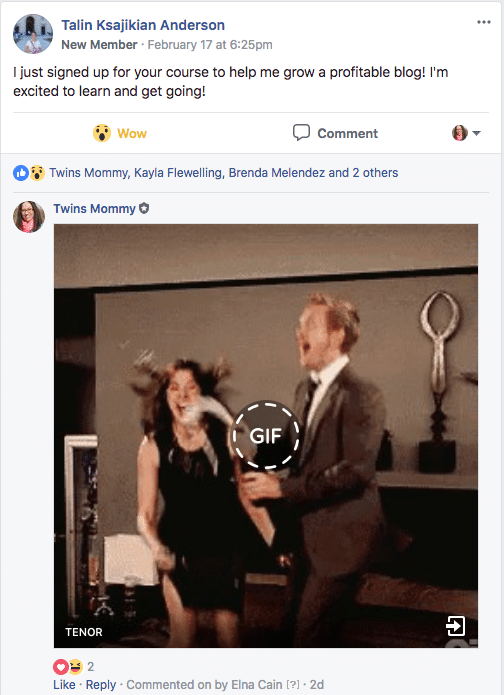 If this is too new for you, work on getting into Facebook groups – I have my Mom to Mompreneur group – and promote your blog posts there. But, remember – don’t spend too much time doing this. I suggest picking a few Facebook groups that have promo days and only promote to those. So in a week, do a Monday, Tuesday and maybe Wednesday promo and the rest of the time devote to writing blog posts. I recently wrote a post on how doing this one thing resulted in a boost in traffic two times! Google likes content. They want to index your blog and the more posts you have, the more pages you have, resulting in more pageviews! But, as a new blogger or mom blogger, this is hard. Right now, my twins have been sick for over 9 days and are playing a puzzle. And, I’m in the kitchen trying to whip up this post. I will take breaks, but I will get it written today. I do my best to be consistent on posting, but I’ve learned that you can also post in spurts. Maybe you post every other week and then for 5 days straight you publish a post. Google sees fresh new content, and it will help boost pageviews in the long run. As a new blogger, you don’t have to spend hours creating brand new blog posts. Use those blog posts and repurpose them. Create an infographic for one of your blog posts. Or, make an email out of your blog post. You can also use your old blog posts to create new blog posts. Maybe an older post talked about one health habit. For your new post, you can list 7 health habits and use content from your older post. I do that a lot for Twins Mommy and for my other blogs. I either expand on a topic or narrow down on one topic. I don’t use emoticons much in my blog posts, but I try to when I post on Facebook or when I create an email. Since I like to market my blog on Facebook, using emoticons can increase comments by 33% and posts with emoticons get shared 33% more time! Why isn’t this my #1 tip? Pinterest is my #1 way to drive traffic to this brand new blog that now has over 67,000 pageviews. It has also helped me grow my email list to over 7k. Pinterest is a visual platform where your pins can be eye candy for others, attracting them to your blog. But, Pinterest is also a search platform. You have to optimize your Pinterest profile and pins with keywords. Remember, though, not to get stuck pinning on Pinterest for hours a day (because that can happen). I suggest you invest in an automation tool like Tailwind to schedule your pins out every day. Check out these posts to help you with using Pinterest! I just laid out this HUGE post with tips to help you, and it can be overwhelming! Take the time to learn. This means carving out time to learn from others that have done it before you. Absorb the information and then try these tactics one at a time. Above all, make sure to have fun when you blog. I absolutely LOVE blogging and the whole blogging community. Over to you – tell me why you started your blog and how you’ll build your engagement! Thank you for sharing these great ways of engagement! That’s awesome! I hope you like the click to tweet! I have it for one blog but not all my blogs as I find that some blogs Twitter isn’t the main entrance way to my blog! Great blogpost! Thanks for sharing your tips, i will get a better look at pinterest so i can get vistors from there. You’re welcome! 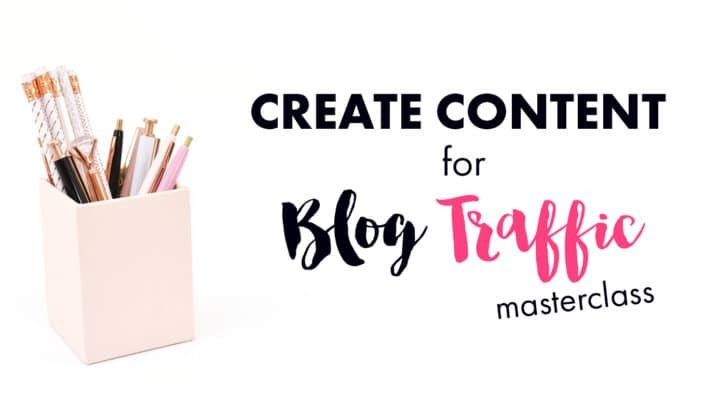 So glad you found some free ways to grow your blog traffic and engagement! Pinterest is a great platform to grow traffic for new bloggers for sure! That’s great. So glad that you found this post helpful to increasing your blog traffic. And yes, Pinterest is definitely a game changer!Thanks for stopping by! These was super helpful to me! I need to implement the quiz recommendation, never done it before. Thanks for sharing these amazing and useful tips. Your posts are always so helpful and informative! It always has me coming back for more! I like your blog’s design! You’re doing a good job! It takes time to cultivate a following and traffic! Just be consistent and provide valuable content! Rajeev here from India. Really like your post and there were few points I was thinking of I have not updated in my blog like last update date. It’s very small thing but impact is lot. Thanks for sharing such information. One more thing , you discussed about Pinterest traffic. I am actively posting on Pinterest but still I hardly get any traffic. Can you just help me with steps what needs to be done for Pinterest. Thanks a lot in advance. That’s great. Yes, the last updated date does help with SEO and ranking!!! As for Pinterest, pick up the free Pin Promote Planner! That will give you specific action steps to take on Pinterest. This is a great piece. I concur with you about posting regularly/consistently. When I purposed to do that with my blog, I doubled, almost tripled my traffic so I can definitely say that that works. That’s amazing! I love hearing stories like these! Honestly based on the title I wasn’t sure whether this would be one more post with a catchy title but no helpful content… I’m so glad it wasn’t. THANK YOU for writing this and for taking the time to include so much information and detail, very helpful! Definitely saving this for later reference. So happy you found this post valuable and helpful! I know what you mean about click bait content!! It drives me nuts too!!!! Great tips! Patience and Consistency are the keys. Collaborating with other bloggers and brand is of the best method in growing engagement on your blog. You can paid at the same time you will have an exposure. It’s win-win situation. Thanks for sharing your ideas! ♥️ ♥️ By any chance you are interested on doing collaborations, you can check out the collaborations portal of Phlanx.com and connect with amazing brands! I’m such a new blogger: I officially started blogging consistently (and taking things seriously) in January of this year. I’ve got 2 comments on my blog posts so far. Small stuff, I know. But it feels amazing when you do get comments! This post has given me lots of ideas: I’m going to try boosting engagement with click to tweets and better CTAs. I also think readabilty of posts helps – people have to read the post before they comment! And this is something I’ve struggled with in the past, I think. So I’m trying to use more white space, shorter paragraphs, key text in bold and more images. Your blog DOES NOT look AT ALL like a new blog! Seriously! The level of writing, the graphic design, the brand and everything else is as if you’ve been blogging for years! Really! As for your comments, share your posts MORE than you share others. That’s the secret 🙂 Yes, it may seem selfish, but hey, people need to KNOW about you first!!! After that, then you can reciprocate and share other people’s posts! I’m glad this post has given you some help to boost engagement on your awesome posts (I want to read your post about keeping your husband tidy!). Try the click to tweet and tweak those CTA’s and see what happens! Wonderful post on boosting blog engagement! I certainly learned a few new things here from you. Boosting your blog traffic and engagement is not a big challenge. Yes, it does take a lot of consistent work and time, but it is possible to hit your blogging goals. Thank you so much for sharing all of these super helpful tips! That’s awesome you are learning about Pinterest marketing! Thanks for coming over! And yes, blogging does take time and you have to be consistent for sure!